Since opening its first branch at Muangthong Thani 20 years ago, Golden Chicken restaurant has grown into a successful restaurant chain with its 3d branch recently opened at Central Phuket (Floresta) to celebrate its 21st anniversary. 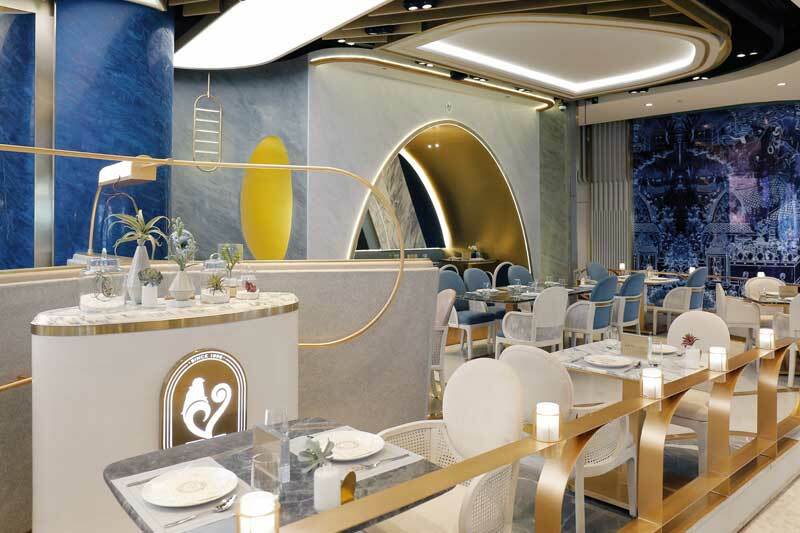 With its décor inspired by the turquoise Andaman Sea, sunshine and yachts, the Phuket branch maintains its premium standards and menus like other branches. Popular with Thai and foreign diners, the restaurant uses carefully sourced ingredients and distinctive cooking techniques to create its signature dishes. The real highlight of Golden Chicken lies in its oriental-style cuisine with its own unique flavour that’s unlike that of any other restaurant. 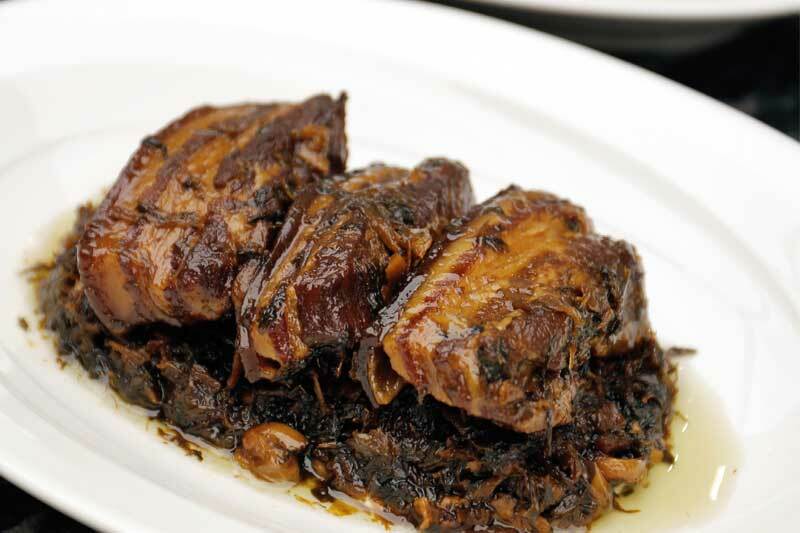 This tasty Cantonese dish uses vegetables imported from Hong Kong infused in tea for 36 hours and roasted with stewed streaky pork flavoured with soy sauce. The pork-so soft and smooth that it melts in your mouth-is enjoyed with steamed buns. 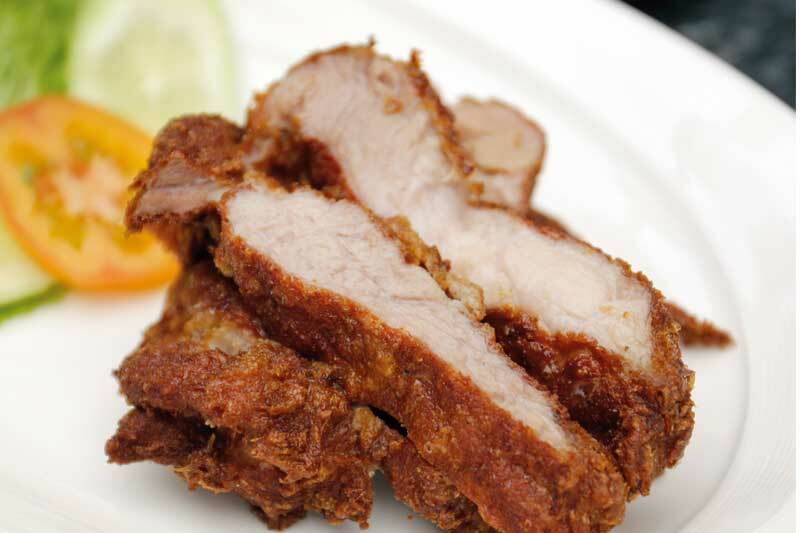 This Hong Kong-style pork chop, one of the popular dishes, has chunky pieces of pork that are crispy on the outside and soft on the inside. It’s served alongside a spicy Isaan-style dip. This is a flavourful special-recipe tom yum that uses specially sourced river prawns. It has all flavours: sour, salty and spicy. This pork salad has a balanced flavour slightly sweetened with wild honey and is served alongside fresh greens. 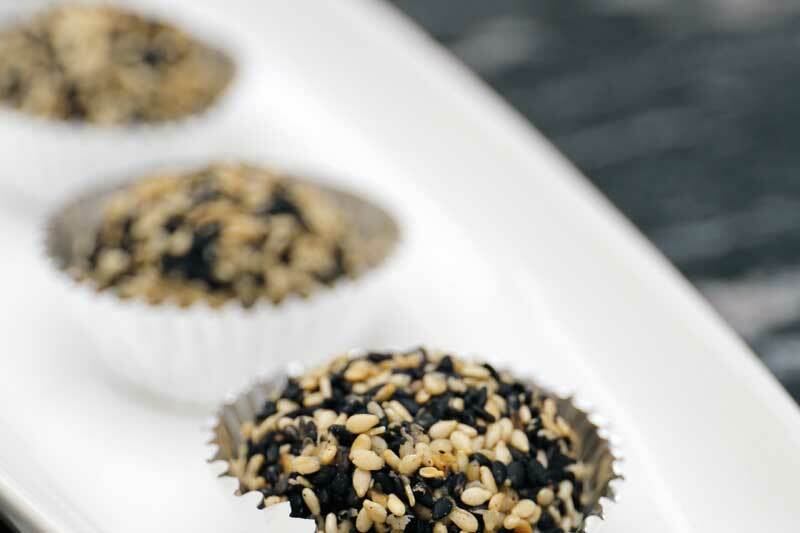 This warm auspicious sweet treat, aka Hong Kong mochi, is soft and fragrant with roasted white and black sesame seeds. 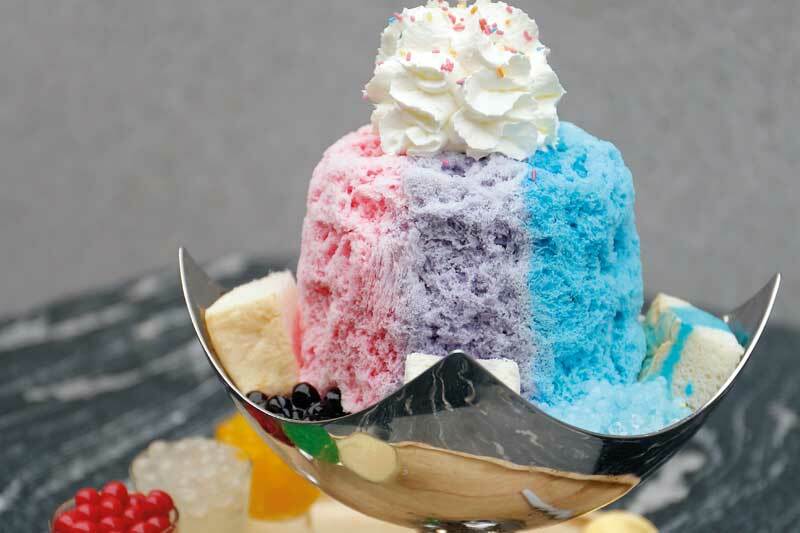 This Thai-style shaved ice is both colourful and tasty and comes with bread, condensed milk and chewy pearls (tapioca balls).